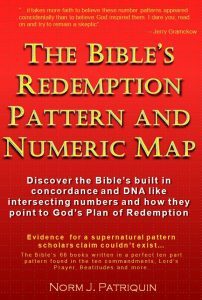 Every list in the Bible, every number and every book, chapter and verse reveal elements of this ten step pattern. 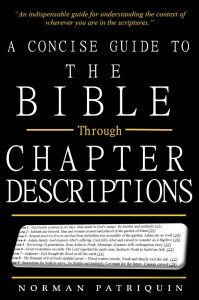 Examples of this can be seen in; the overall themes of the first ten books of the Bible; the first ten chapters; even the first ten verses; the ten commandments; the meanings of names of the ten generations from Adam to Noah; as well as every other list you can find in the Bible. One of the most compelling examples following this ten part pattern is found in the Beatitudes which is a well known list of “Blessed are” statements found in Matthew chapter 5 (note that even the number for Matthew #5 chapter follows the Redemption Pattern theme of #5 which is about statutes, covenants and promises of God). Because we have not understood the Redemption Pattern steps, we have taught about the Beatitudes as seven or eight Beatitudes blessings promised by God. But we have always left out the ninth “blessed” statement because we don’t think of it as a blessing to be persecuted. Isn’t it curious how it is clearly a “blessed are” statement but we decided to exclude it from our lists? When we see the Beatitudes in light of the validating steps of the redemption pattern we can better understand what the Beatitudes are telling us. I don’t claim to be a Bible scholar and am not qualified to interpret scripture, so I’ll simply try to explain how I think the Beatitudes fit the redemption pattern and what I think might be behind the reward statements – I’ll leave it for the scholars to study and tell us what they think it all means. It seems to me the ten statements related to the Beatitudes in Matthew chapter 5 can be seen as a list of levels one reaches in the path to becoming Godly (8th step). I think of the Godly as those who have reached the 8th level of the Redemption Pattern and who then might be called “the Godly” who truly try to follow and obey God. Related to the list of the ten numbered themes of the Redemption pattern above, the nine “blessed are” teachings of the Beatitudes seem to speak to these same ten steps. Each Beatitude includes a statement about the status of believers at that level, as well as a statement about the reward given for reaching that level in our walk to know god. As mentioned earlier, I believe the Redemption Pattern found throughout scripture is a progressive list of ten steps of God’s Plan of Redemption. I think the list of Beatitudes are progressive in nature and speak to the levels of rewards given at each step one reaches in the path to being redeemed. In the chart below I show each of the ten beatitude statements and provide a possible interpretation based on the guidance provided by Numeric Map and Redemption Pattern. #1 Matt 5:3 Blessed are the poor in spirit: for theirs is the kingdom of heaven. #1 Heaven exists for the poor in spirit – People are separated from a holy and righteous God and have need of a redeemer.We learn about separation by kind in the 1st book of the Bible – Genesis. REWARD: “Theirs is the Kingdom of Heaven” – Even though various translations come up with the same textual meaning for the 1st and 8th Beautitude, the greek seems to differentiate them in a subtle yet very significant way. In the 1st one the translation might better read “because of them is the Kingdom of Heaven” and the 8th reads as “of them is the Kingdom of Heaven”. Using this subtle difference, this 1st Beautitude may be saying that God has created heaven for the poor in spirit but not necessarily saying it is theirs. The entrance to heaven has requirements mentioned in the following Beautitudes. This might read, Blessed are the poor in spirit because there is a heaven. REWARD: God hears our cry for a savior and Jesus responds so that we might be comforted. I suspect this reward is for those who seek God. #3 Matt 5:5 Blessed are the meek: for they shall inherit the earth. #3 Living with a Holy God – We need to learn about our relationship with a holy and righteous God and our need to confess our sins and make offerings in atonement for them. It is about how to live with a perfect god. This is revealed by the teachings of the 3rd book of the Bible – Leviticus. God in our midst today is related to the Holy Spirit. REWARD: “The meek” might be a way of speaking about those who humble themselves before God. I wonder if this reward is about literally inheriting the earth. Some scholars say there are multiple levels of heaven and this might be a reference to being given access to the lower levels which might even include living on the renewed earth. For those that think the earth will one day be destroyed, the Bible tells us the earth will be renewed, not done away with. This level of reward suggests maybe those reaching it will be saved from condemnation at the final judgment. #4 Matt 5:6 Blessed are they which do hunger and thirst after righteousness: for they shall be filled. #4 Wilderness Wandering – Men will wander in wilderness of creation suffering trials and enduring testing designed to change our heart so that we finally will thirst for God and want to enter his land. The 4th book of Numbers tells of this wandering. REWARD: Those who finally see there is no way to eternal life except through a redeemer seem to be rewarded with being “filled”. I personally wonder if this is a type of spiritual filling but would not equate it with what we would call being filled with the Holy Spirit. #5 Matt 5:7 Blessed are the merciful: for they shall obtain mercy. #5 God’s Laws – The 5th book of Deuteronomy teaches us of God’s statutes and Covenants and what is expected/required of us to enter God’s land. We need to understand these things before we can truly accept Jesus and commit to following him. Leviticus 18:5 summarizes this – ‘So you shall keep My statutes and My judgments, by which a man may live if he does them; I am the LORD. REWARD: God promises blessings for those that follow him and curses for those that do not. This reward seems to tell us God will be merciful to us of we have been merciful to others. I don’t want to try and explain this reward which I don’t have a good falling for comprehending. #6 Matt 5:8 Blessed are the pure in heart: for they shall see God. #6 Confessing/turning from Sin and accepting Jesus – We accept God’s ways by confessing our sins and turning from them. We then receive pure hearts based on God’s forgiveness. REWARD: The 6th step is that of confessing sin and accepting Jesus. I suspect those that reach this level are promised they will actually see God one day. This reward fits with the action required to reach this step. This might be contrasted with those that inherit the earth alone (above), and like we are today, do not have the ability to see God. #7 Matt 5:9 Blessed are the peacemakers: for they shall be called the children of God. #7 The Good Shepherd leads his sheep – Once we have chosen God’s way we are considered the “Children of God” and as children God will raise us to become complete. In our walk with God, we will fall away and sin many times, and receive God’s correction which is designed to mature us and bring us back as believers. In this step we are seeking to become faithful obedient servants (8th step) – a process that takes time and experiences to come to comprehend what obeying God means. Believers may never actually achieve the status of being Godly which is only determined by Jesus and his Holy Spirit which is in us. We see this process going on in the 7th book of the Bible – Judges. 2nd Samuel chapter seven tells us about this seventh step – 2Sam 7:14 “I will be a father to him and he will be a son to Me; when he commits iniquity, I will correct him with the rod of men and the strokes of the sons of men,“. Note, the book of Judges does not end with a conclusion but is a series of examples of Israel falling away from God and God later restoring them. The 8th book of Ruth is written in about the same historical timeframe and seems to be an example of those who finally exit this falling away/restoring cycle. REWARD: The 6th step seems about accepting God’s plan of Salvation and the 7th step seems related to those who actually desire to follow God even though they don’t really understand what that means. It seems we become “children of God” when we enter this desire to follow God. #8 Matt 5:10 Blessed are they which are persecuted for righteousness’ sake: for theirs is the kingdom of heaven. #8 Faithful Obedient Servants – In the 8th step we reach the level of “obedient servants” or “godly” believers and are willing to persevere in service “for righteousness sake”. We find this modeled in the Bible’s 8th book of Ruth in which the widowed Jew Naomi returns to God’s land from Moab because she knew God provided for his people. She brought her gentile daughter-in-law Ruth with her as well. An example of finally realizing our need for God and giving up our own ways to follow him. I believe this is the level where the power of God’s Holy Spirit enters believers. REWARD: “Theirs is the Kingdom of Heaven” – Most translations use the same reward text for the 1st and 8th Beautitude, but the greek differentiates them in a subtle yet significant way. The 1st Beautitude might read “because of them is the Kingdom of Heaven” and the 8th says “of them is the Kingdom of Heaven”. Using this subtle difference, the 1st Beautitude seems to say God has created heaven as a place where the poor in spirit can come, but it is not until this 8th step of God’s Redemption Plan that one receives the reward of entrance to heaven. Saying that “of them is the Kingdom” communicates that the Kingdom of Heaven is made up of faithful obedient servants who reach this 8th step of God’s plan. This is not to imply salvation is not obtained until one is faithful and fully obedient, but I suspect there is a difference in reward between those that have initially accepted Jesus as Lord, and those that reach the level of being Godly obedient servants of Jesus. Chapter seven of my book relates chapters 1-10 of Romans with the ten steps of the redemption pattern and I believe the contrast of the messages in Romans 6-7-8 can shed additional light on the rewards of the 6th, 7th and 8th Beautitudes. #9 Matt 5:11 Blessed are ye, when men shall revile you, and persecute you, and shall say all manner of evil against you falsely, for my sake. #9 Persevering until Jesus return – This 9th Beatitude (which is left off every list of Beatitudes I’ve seen), speaks of the highest level of reward given to believers who truly endure in their service through severe persecution. From the previous 8th step we are to be persevering in service, but those that achieve the 9th step seem to be due very special rewards. We find good and poor examples of serving God in the 9th and combined full book of 1/2 Samuel where we can contrast the service of two believers – Saul who did not trust in God, and David who did. REWARD: It seems there are incredible rewards to be given to those who persevere through severe trials to bring fruit to the kingdom. It seems fitting that it is enough to say there are great unspeakable rewards (and likely rewards we cannot comprehend) to those that reach this level of service. 10 Matt 5:12 Rejoice, and be exceeding glad: for great is your reward in heaven: for so persecuted they the prophets which were before you. #10 The Final Reward – The 10th step of the Redemption Pattern relates to the time we will one day receive our rewards which will be given when Jesus returns. Every person will one day reach this 10th step, even if they are not a believer – it is the step of judgment. We find models and examples of Judgment in the combined full 10th Bible book of 1/2 Kings. In the end each person is sent to receive their earned reward. REWARD: Rather than being another level of reward, this last statement of the Beatitudes is not a “Blessed…” statement, but it is a declaration consistent with the 10th step of the Redemption Plan/Pattern. The 10th step about final things relates to the end where we will be judged and given our earned inheritance. This speaks of that time that is coming soon. Remember, I do not consider myself a Bible scholar, so do not want what I write here to be considered fact or a claim based on my expert Bible knowledge. Instead, it represents the concept of what I believe the Beatitudes communicates to believers. As always, search the scriptures on your own so you may develop your own opinion. Even if you don’t agree with my conclusions about the Beatitudes, I hope you can see the relationship of the pattern in the themes of each of the nine “Blessed are” statements to that of the Redemption Plan.